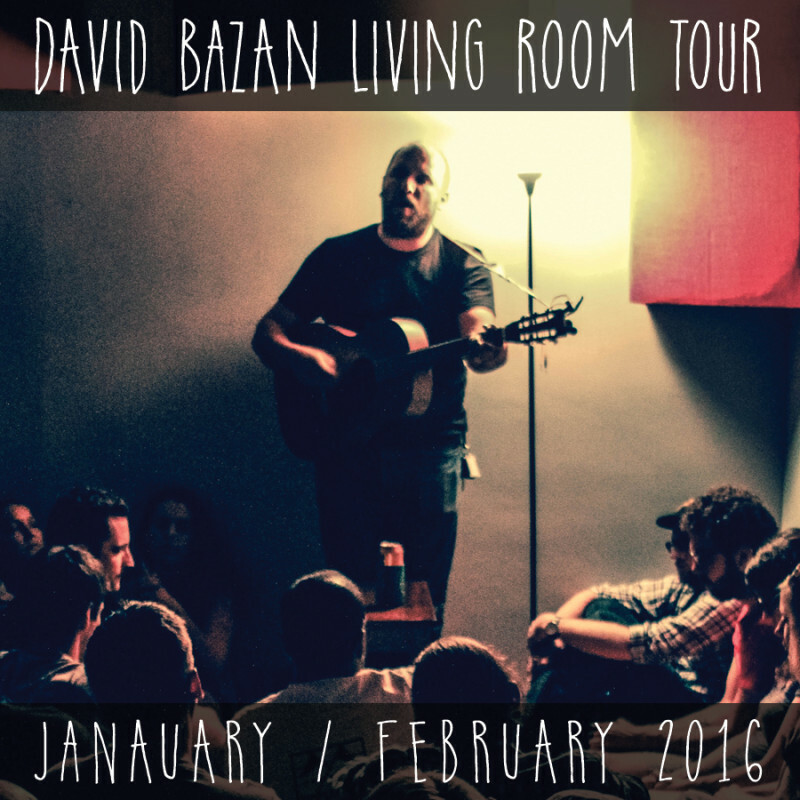 Tickets are on sale now for Bazan solo shows in January and February. 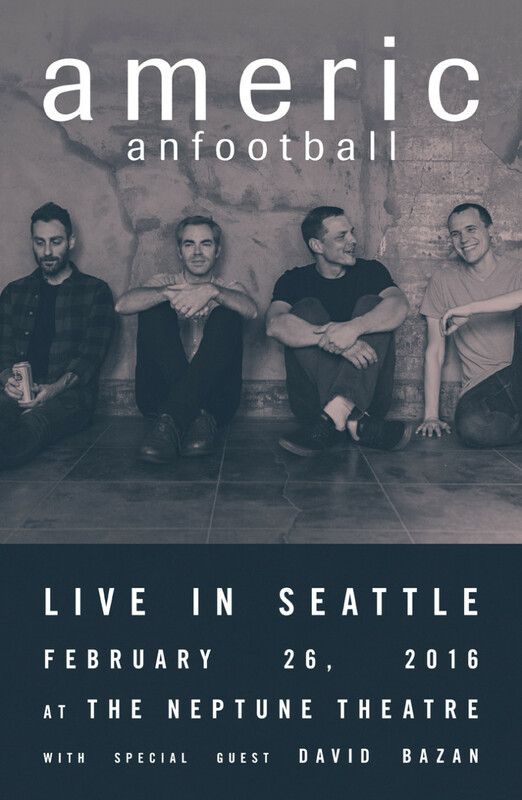 He’ll be playing songs from Pedro The Lion, Headphones and Bazan albums. These shows always sell out quickly. Don’t delay. Thanks for helping us spread the word about these shows. BAZAN SOLO SHOWS IN MASSACHUSETTS and CONNECTICUT. David will be playing a few solo shows in the Northeast. These shows will be David on guitar and Yuuki Matthews on bass. 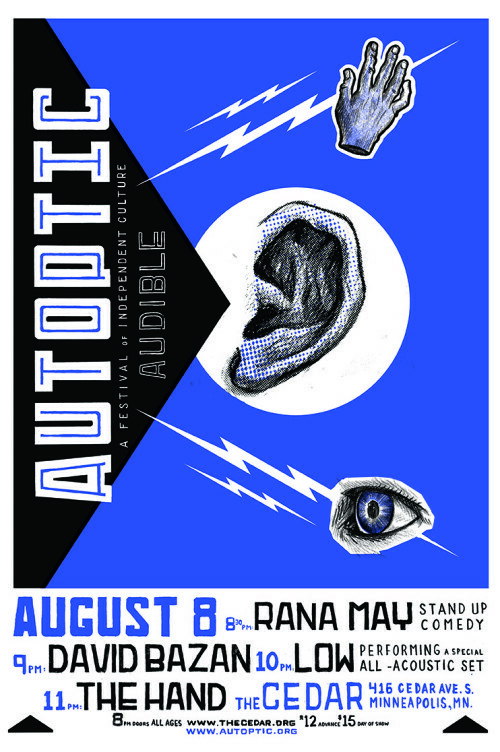 They’ll be playing Pedro The Lion, Headphones and Bazan songs. These always sell out pretty quick. * The Southeastern shows will be filmed for an upcoming documentary about David. Please be aware that by attending one of these shows your image could appear in the film. If you have any issue with this you are still welcome to attend, but please speak with someone from the film crew on the night of the show so that they can accommodate you. We added a few solo Living Room Shows in the Boston area in November. These are all Bazan solo shows. 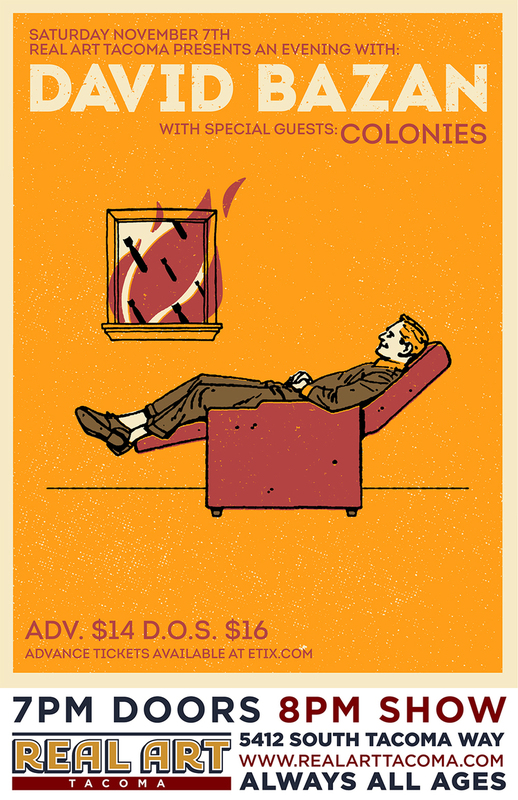 He’ll be playing songs from Pedro The Lion, Headphones and Bazan solo catalogs. Tickets for the October shows on sale now. These will be David Bazan & Yuuki Matthews duo shows. 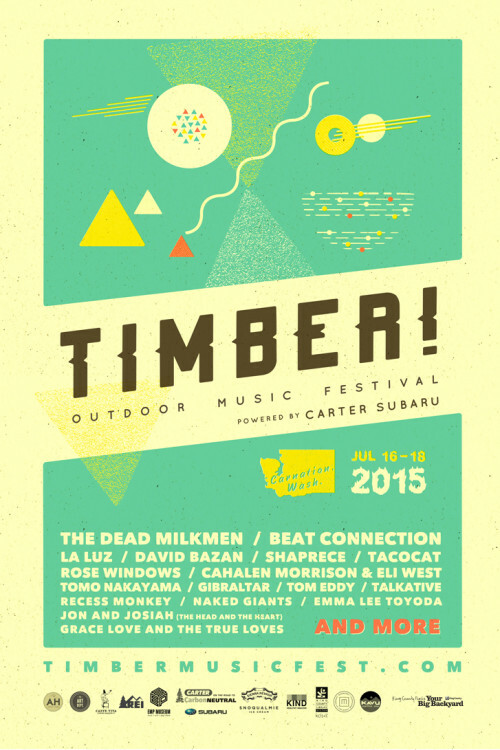 They’ll be playing Pedro The Lion, Headphones and Bazan songs. David will be playing a solo show in Holland Michigan on Friday, October 9th as part of the Hope College Concert Series. 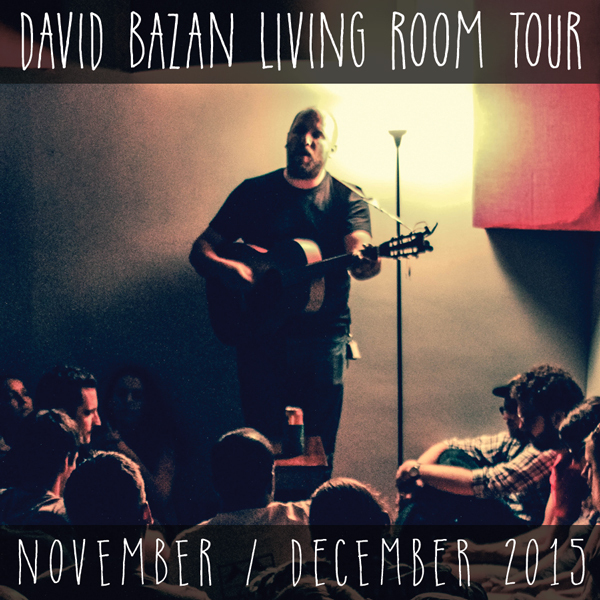 Bazan Plays Headphones in Seattle, Tacoma, Bainbridge Island, Vancouver! 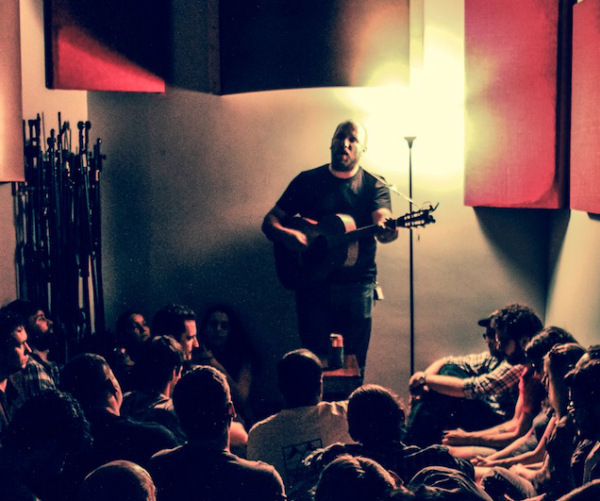 To celebrate the 10th anniversary of the Headphones album, David Bazan will be playing more Living Room shows that’ll focus heavily on songs from that album, along with songs from the Bazan and Pedro The Lion catalog. David will be joined by Yuuki Mathews on these shows. 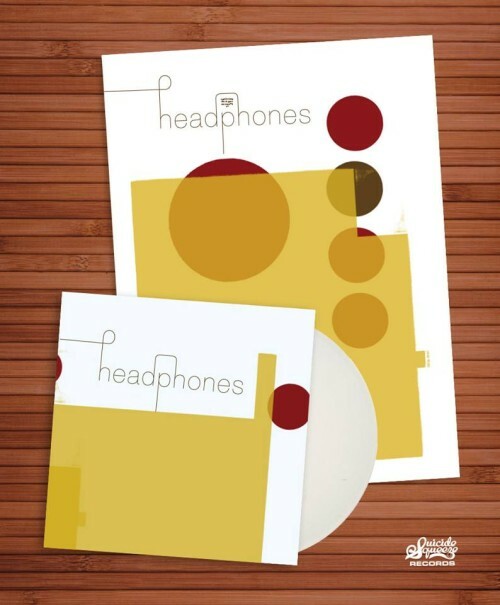 Headphones 10th Anniversary // Vinyl Reissue + Tour! You can pre-order the 10th Anniversary LP pressing is from Suicide Squeeze. They have a bundle deal that comes with a limited edition screen printed poster designed by Jesse LeDoux. David is on tour playing the entire Headphones album along with new songs from the Bazan Monthly series and some Pedro The Lion classics. He’ll be joined by Yuuki Mathews on these shows. Come out and say hello. That’s it for now. We’ll have more news for you soon. 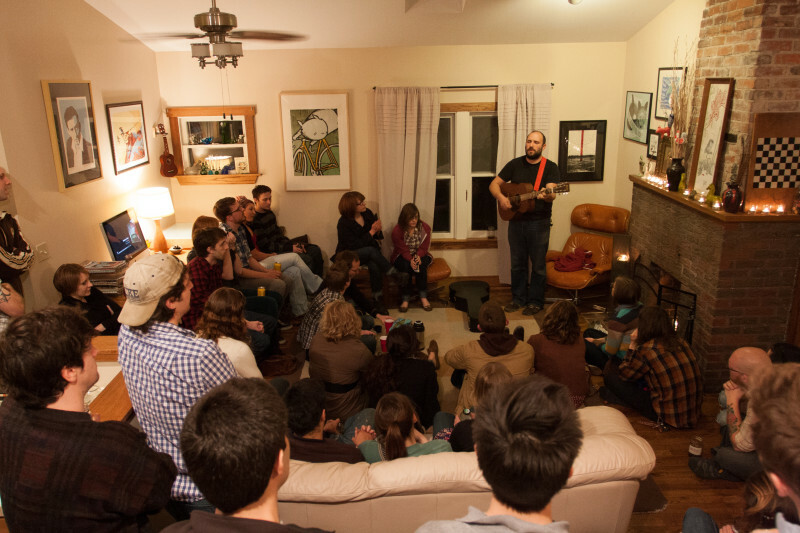 To celebrate the 10th anniversary of the Headphones album, David Bazan will be doing a Living Room Tour that’ll focus heavily on songs from that album, along with songs from the Bazan and Pedro The Lion catalog. David will be joined by Yuuki Mathews on these shows. Tickets for the last tour sold out very quickly so we decided to go back to some of those town and book a couple of nights in the bigger cities so more people have chance to get tickets. We also have a new ticketing system that’s more streamlined that should help make the buying process and ticket downloads a little easier. David will be joined by Yuuki Matthews at these shows. They’ll be playing a bunch of new songs from the Bazan Monthly Series along with other Bazan and Pedro The Lion songs. ALL TICKETS FOR THIS TOUR ARE SOLD OUT. 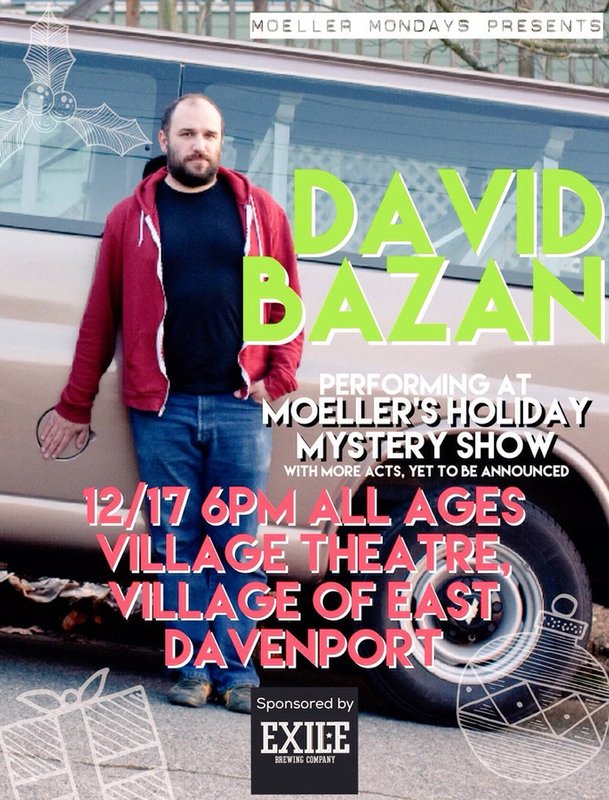 David Bazan will be joined by Yuuki Mathews on this tour. 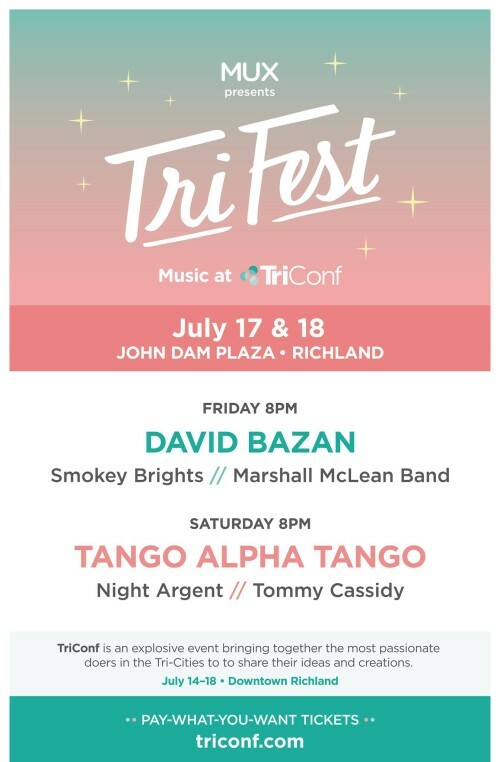 They’ll be playing a selection of Pedro The Lion, Headphones and Bazan songs including new songs from the Bazan Monthly Series for the first time anywhere. All tickets must be purchased in advance. You’ll get a link to download a PDF with the secret location of the show and your name will be on the guest list at the door. 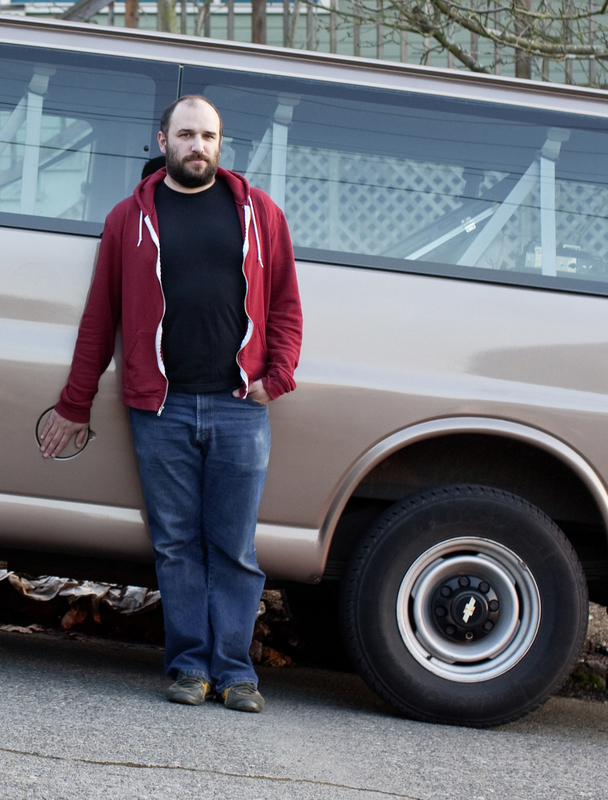 Two new David Bazan songs will be released every month for five months between January and May 2015. That’s 10 new songs! You can buy the complete set on 7″ vinyl singles + MP3 and Hi-Res WAV downloads for $35 + postage for all five shipments. You’ll get a download for two new songs on the first of each month. Then we’ll start shipping the vinyl to you each month beginning in March. Or you can choose to have them all shipped at the end of the run for one shipping cost. The complete set is also available as monthly download for $10 in MP3 or Hi-Res WAV formats. If you choose a download option you’ll get the first two songs immediately. Then two new songs will be added to your download page on the first of each month. You just need to sign-in and download the new songs.